If he then had no one to guide him, equally he had no one to tell him that he could not make a living as a writer. And make a living he did. 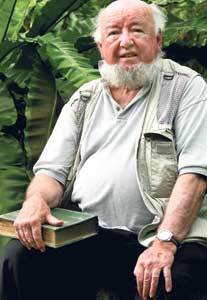 Over the course of 30 novels, nearly 15 non-fiction books and four plays Mr. Keneally has earned a reputation for endowing his characters with depth and complexity and for setting them in tumultuous, demanding environments. He is rarely, if ever, didactic but as a man seemingly unafraid of shadows, he has time and again shed light onto moments in our history where humanity has seemed to fail itself. “I have always been fascinated by how history changes the direction of people’s lives – often so unjustly,” he says ruminatively. The heroism that is always visible in such moments is his particular interest. In fact, his two most recent publications, ‘A Widow and her Hero’ (2007) and ‘Searching for Schindler: A Memoir’ (2007) both grapple explicitly with what it means to be a hero. ‘A Widow and her Hero,’ is about an Australian woman named Grace who must come to terms with her husband, Captain Leo Waterhouse’s gruesome execution at the hands of the Japanese during WW II. Running through the novel are excerpts from her husband’s diary. His other book, a non-fiction memoir, is also built around heroes, but the motives of the enigmatic Oskar Schindler have always been subject to heated debate. “You couldn’t say where opportunism ended and altruism began,” says Mr. Keneally admitting that 30 years after the book was published, he is still no closer to understanding the man who saved so many Jewish lives. Keneally: A man well content. When he first wrote the book, it was as a work of ‘faction’ – “like Truman Capote’s ‘In Cold Blood’. That he had access to the story at all was thanks to a store owner named Poldek Pfefferberg. ‘Searching for Schindler,’ is in many ways Poldek’s story. “I wanted to write about him because he was a character nearly as big as Schindler,” says Mr. Keneally remembering the time he met Mr. Pfefferberg at the latter’s luggage store in Beverley Hills. It’s been a long and illustrious career, one that began with the publication of ‘Place at Whitton’ in 1964 by a very young, very uncertain author. Does he recognize anything of himself in that boy? “Sometimes, until I look in the mirror, I think I’m him,” he says thoughtfully. “You carry your childhood with you, for your entire life, and you revert to it, revert to the feelings of loneliness, rejection but also to that pure joy.” He pauses, hunting until he finds some heavily creased photographs to show me. “Your grandchildren, they return you to that pure joy,” he says, obviously a man well content. 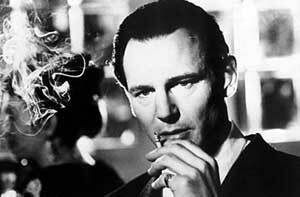 Tags: Academy Award, Liam Neeson, Oskar Schindler, Poldek Pfefferberg, Schindler, Thomas Keneally. Bookmark the permalink.